Not sure where to start when putting together your wedding registry? We’ve teamed up with Zola to share the ultimate wedding registry checklist! Building your wedding registry can be overwhelming, but Zola makes it easier than ever to register for everything you need for your newlywed home from essentials for the kitchen and bedroom to gift cards for hotels and airlines to personalized cash funds for your honeymoon and more! Zola sells over 50,000 gifts from over 500 brands like Le Creuset, KitchenAid, Sonos, and even Airbnb and Delta! 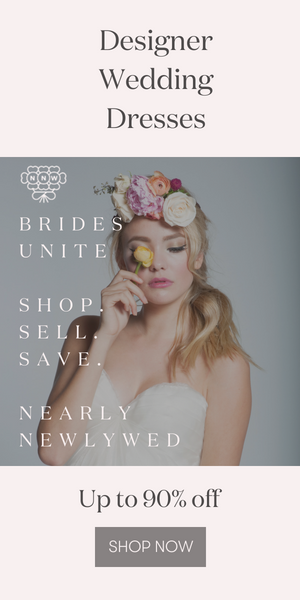 The benefits of registering with Zola are truly out-of-this-world, from free shipping on almost everything to a 20% post-wedding discount for up to six months after your big day. Not only can you control when your gifts ship so you aren’t overwhelmed with box overload when you return from your honeymoon, but Zola offers free returns and virtual exchanges! Any gift can be converted to Zola store credit so you never receive a gift you don’t want. Plus, Zola credit never expires and can be applied to any gift or gift card sold by Zola. Ready to check out all those essentials you can find on Zola to complete your wedding registry checklist? Your wedding registry is the perfect opportunity to upgrade those basics like sheets and plates that you’ve had since you got your first apartment! ;) From fancier bedding to luxurious towels to the stand mixer of your dreams, don’t write off these must-have traditional gifts from your wedding registry checklist. Keeping a clean house has never been easier with literal robots to help you do it! A vacuum may not sound like the sexiest item on your registry, but we have a feeling a Roomba will be on the short list of favorite gifts you receive! A well-balanced wedding registry includes both functional items and fun pieces you’ve always had your eye on. Have you always wanted custom frames for the art in your home, a lush velvet arm sofa, a high-end speaker system, or even a home security system? Don’t be afraid to think outside of the box and ask for what you really want for your newlywed home! There’s an age-old question: what do you get for the couple who has everything? Our answer? Gift cards! If you’ve already lived together before your big day, you may already have many of the items on this list. That’s where gift cards to your favorite airline, fitness club, or streaming service come in handy! Hint: Airbnb gift cards are some of the most popular registry picks year after year. Asking for cash on your wedding registry is no longer a faux pas, especially when paired with traditional registry gift items. The best way to go about requesting money is to be specific about where the funds are going – your honeymoon, buying a house, or saving for a new puppy! Zola allows you to upload photos and let guests know exactly where their gift is going. This way, they feel like they’ve contributed to an actual present instead of giving you a bucket o’ cash. And hey, Zola has the lowest cash fund fee in the industry – just a credit card processing fee! Be sure to keep this wedding registry checklist handy as you head over to Zola to get started adding gifts to your registry! Get $50 towards your Zola registry PLUS 20% off post-wedding when you sign up today! Did you know that Zola is the only wedding planning app you need? They offer hundreds of free wedding website designs, beautiful save-the-dates and invitations, a guest list manager, and so much more. Start planning your wedding with Zola today! This post is sponsored by Zola! very nice post. The way of writing and posting is wonderful. You published amazing posts. Thanks!